If you think about it, there are only a handful of classic American muscle cars that have achieved worldwide acclaim. The Pontiac GTO is definitely one of them. We are honored to present to you this beautiful example of a 1969 GTO Hardtop Coupe and invite you to seriously consider ownership of this classic American muscle car located in MICHIGAN. This beautiful Burgundy and black GTO is equipped with a factory 4-speed, power steering, and Traction Lock differential. 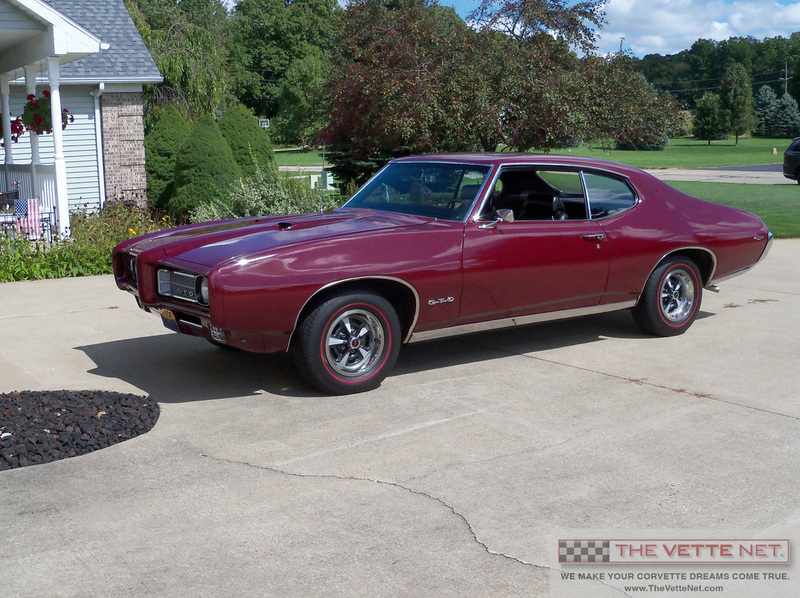 Of course, this Pontiac GTO is offered to you with documentation including ownership history and PHS. As you would expect, this GTO delivers very strong performance yet it is surprisingly comfortable. You will experience the thrill of driving a GTO as well as take pride in being the next caretaker of this legendary muscle car. The body panels appear to be original with no sign of accident repair. The chassis is very clean and solid with no evidence of corrosion damage. The build sheet shows the dealer as Jake Sweeny Pontiac located in Cincinnatti, OH. The overall mechanical condition of this 1969 GTO Hardtop Coupe is excellent as stated by the owner. The interior was refreshed and has been very well preserved showing minimal sign of aging. A previous owner redid the paint. A collection of service receipts and build documentation is included in the sale. The GTO is a true muscle car. The owner states it has a smooth and comfortable ride and is very fast. No matter where you live, delivery can be arranged anywhere worldwide at a reasonable cost. I am very experienced working with international classic car enthusiasts and welcome all inquiries. Inspection of this 1969 GTO Hardtop Coupe can also be arranged. In business since 1998, THE VETTE NET (on the Net at www.TheVetteNet.com) has established itself as the premier broker resource assisting buyers and sellers of Corvettes and other classic and muscle cars. Our motto is under commit and over deliver and we guarantee a pleasant and straightforward experience. Do you have a Vette or classic vehicle for sale? If yes, you may want to take advantage of our unique FREE marketing program requiring no upfront fee and no contract. Click here to submit your Corvette or classic vehicle for sale.